Machete Kills is the 2013 sequel to Machete. Robert Rodriguez wrote and directed it, and the one and only Danny Trejo returns as the titular character. The infamous ex-federale gets recruited by the President of the United States to stop a revolutionary who is threatening to launch a nuke at Washington, D.C. Machete must find a way to stop the attack and figure out what really is going on. That’s easier said than done because the plot is nonsensical and convoluted. There are lots of plot twists, cameos, and absurd B movie moments. I usually like Robert Rodriguez movies, but he tries to do way too much in this film and not much of it works. I wanted to like this movie, I really did, but it’s not up to par with the original. The whole sci-fi element felt tacked on. Maybe it looked good on paper, but it doesn’t translate to the screen. I know it’s supposed to be corny and cheesy, but it doesn’t mesh well with the character of Machete. Machete is a badass, not an astronaut. There’s a fake trailer for a potential third installment called Machete Kills Again… In Space, but I don’t think that’s going to happen. This movie was too much of a flop. 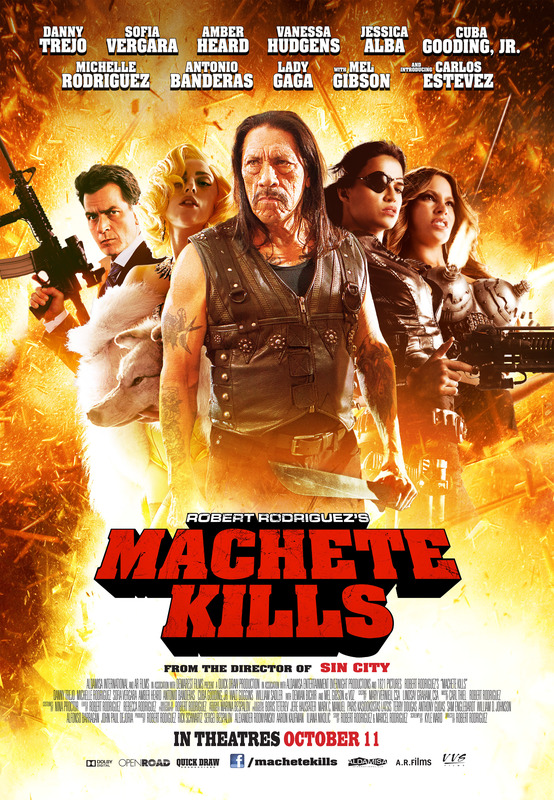 Machete Kills killed Machete.